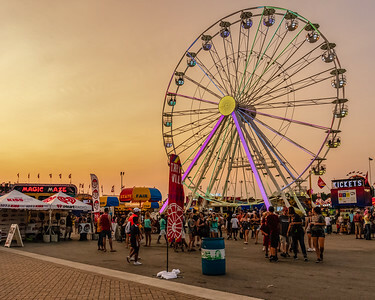 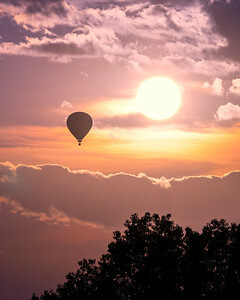 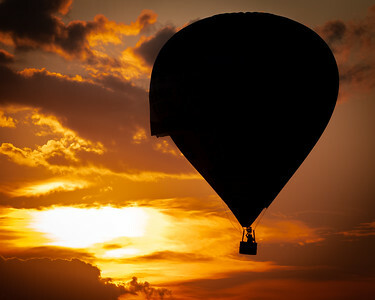 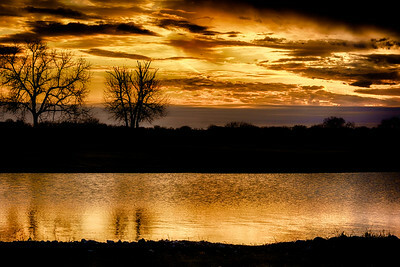 Wherever the sun is setting - that's where you'll find me. 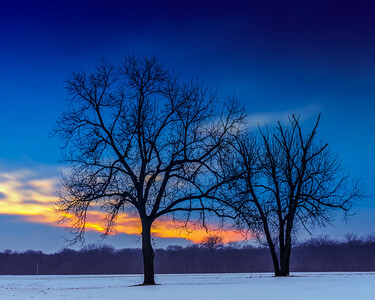 The sun sets behind two trees at Water Works Park during the winter season. 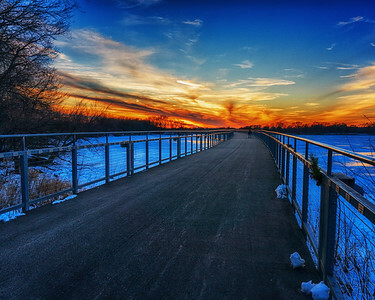 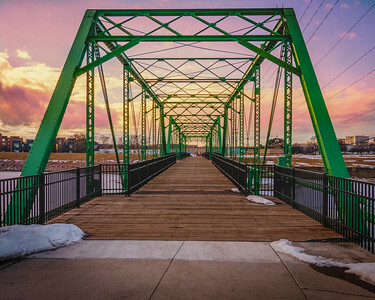 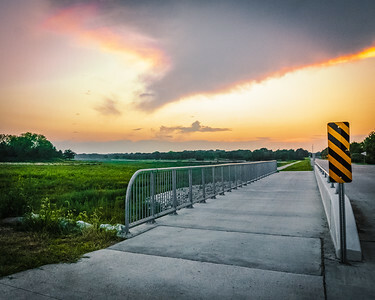 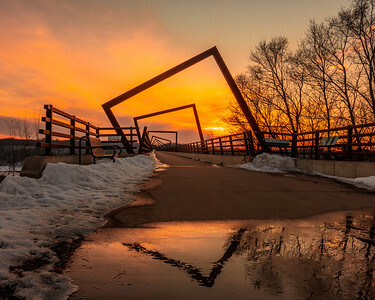 Another winter sunset on the pedestrian bridge at Gray's Lake Park. 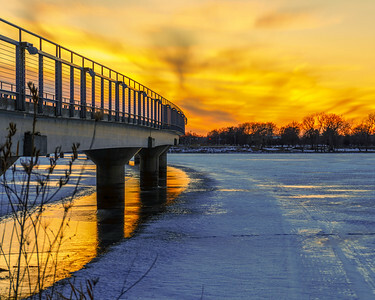 An orange sunset glows over a frozen Gray's Lake with a reflection of the pedestrian bridge shining off of the ice. 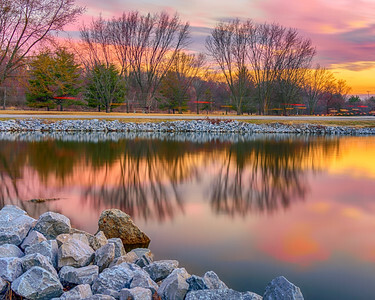 Trees reflecting off of the pond with rocks in the foreground and a beautiful pink and yellow sunset at Water Works Park. 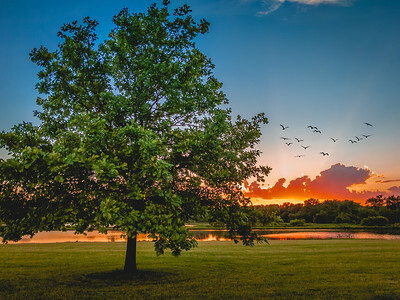 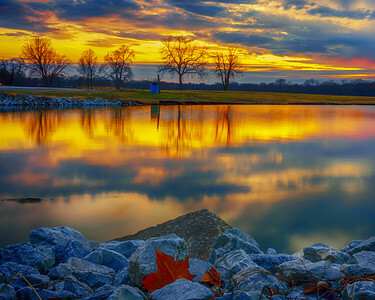 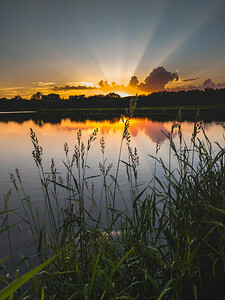 Trees reflecting off of the pond with rocks in the foreground and a beautiful blue, orange, and yellow sunset at Water Works Park. 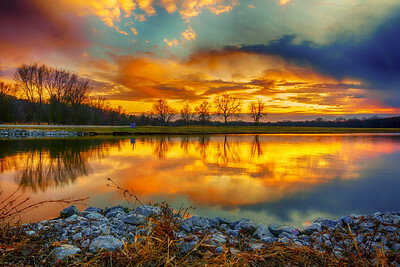 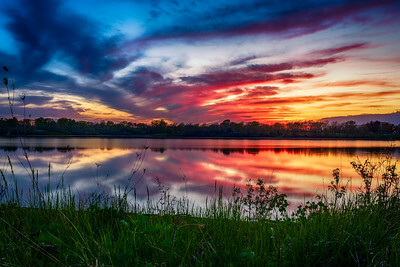 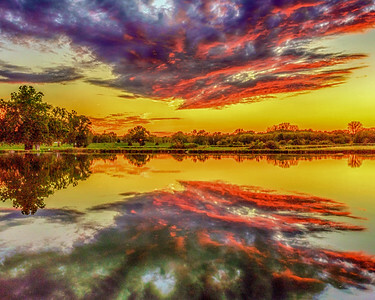 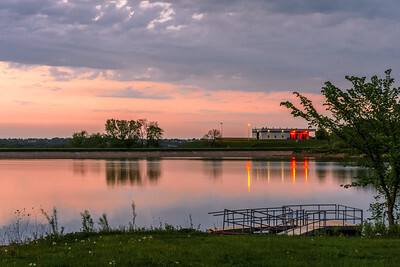 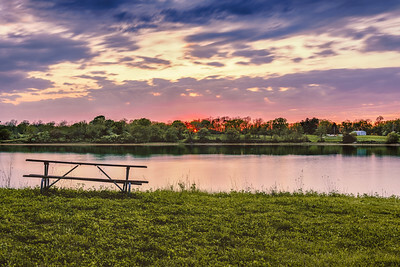 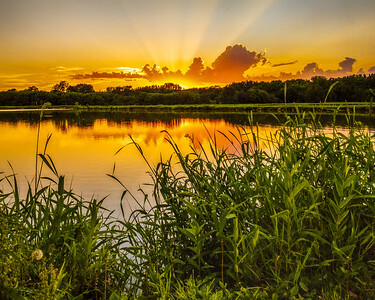 An amazing, colorful sunset over the river at Dale Maffit Reservoir in Des Moines, Iowa. 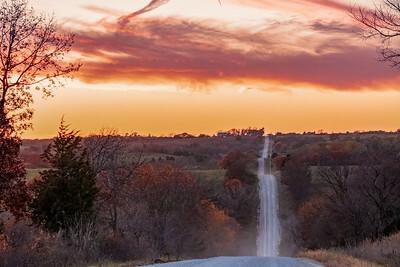 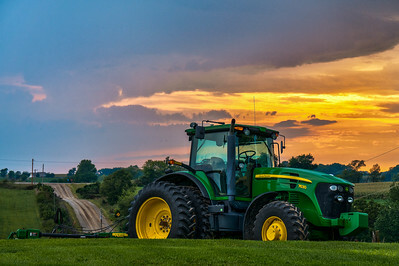 A beautiful sunset over the Rippey Dumps hills in Madison County, Iowa. 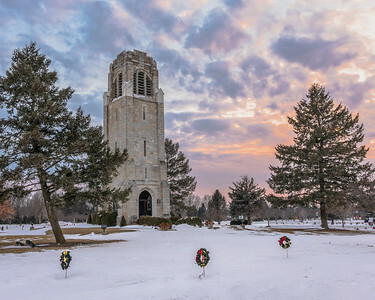 Sunset at the Tower of Memories in the Highland Memorial Gardens Cemetery in Des Moines, IA.